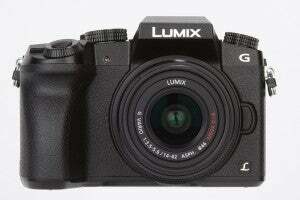 The Compact System Camera – or CSC – has been around since Panasonic kick-started the genre with its launch of the G1 in 2008. Since then the CSC market become the fastest growing of all the digital camera markets. The market has expanded to such an extent that it’s now one of the most camera-laden in all of photography, thus making it difficult to separate the good from the truly special. 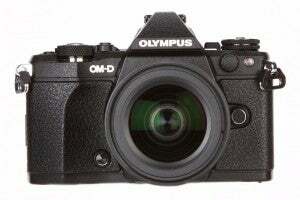 The Olympus E-M5 Mark II takes over from the popular E-M5 Mark I, and although it looks similar to its predecessor it features a wide range of core enhancements, such as an improved LCD screen and viewfinder. It has excellent operating speed and great build quality including weather resistance. Most of the controls are fully customisable and it has great JPEG image quality. Although it might still lag a touch behind APS-C-powered cameras in terms of Raw image quality, as a lightweight alternative to a DSLR the E-M5 Mark II is certainly a successful upgrade on its predecessor. The popularity of selfies has seen many manufacturers introduce articulated screens capable of being rotated to be front facing on their latest models. The X-A2 is a good example, and its new 3in, 920k-dot tilt-type screen can be flipped by 175°. 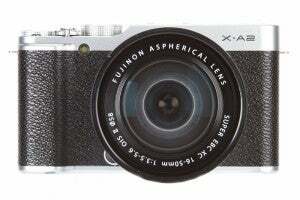 Fujifilm has refined the X-A2 to ensure it’s well tailored for those who’d like to buy their first serious camera and take their photography to the next level by using manual control. Its chic design and excellent image quality put it up there as one of the most attractive entry-level CSCs, and it’s only let down by its rather plasticky construction, meaning it’s much less robust than Fujifim’s premium models. For those after a lightweight CSC that benefits from an excellent viewfinder, fast AF system and all the control you need to get creative with stills and video, the G7 ticks the right boxes. It also features 4K video capture and three 4K photo modes which allow you to extract 8MP still images directly from a movie clip – a useful feature to have if you want to capture fast action, sports or other fleeting moments where it can be difficult to trigger the shutter at the perfect moment. It’s let down somewhat by its plastic build quality that doesn’t feel as robust as other CSCs in the same price bracket, but alternative systems can restrict users for choice when it comes to the number of lenses available. 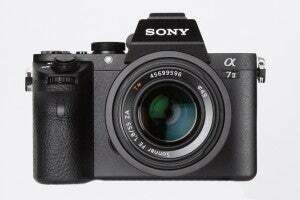 The Sony A7 II follows on from the Sony A7 to sit at the top of the manufacturer’s CSC tree. Although it’s not a direct replacement, it does offer several improvements while maintaining the impressive 24.3MP full frame sensor, as well as the Bionz X processor seen in its sibling. This combination allows for an ISO range of 100-25,600 – with a low extended setting of ISO 50 – while the processor also helps maintain the 5fps continuous shooting speed seen in the A7. Sony’s full frame CSC lens system is also due to be substantially increased this year, adding even more appeal to what is one of the most impressive full frame cameras around. 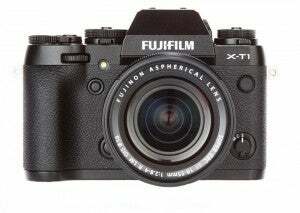 The Fujifilm X-T1 sits atop of the X-series range, already one of the most successful ranges in photography of late. It has a truly impressive feature-set and all the design hallmarks of its stablemates. The camera’s X-Trans sensor delivers some fantastic results, recording high levels of detail throughout the ISO range and in difficult lighting conditions where you’d expect a camera of its pedigree to excel. There’s no denying the X-T1’s quality and on the whole it’s one of the best premium CSC’s on the market right now.